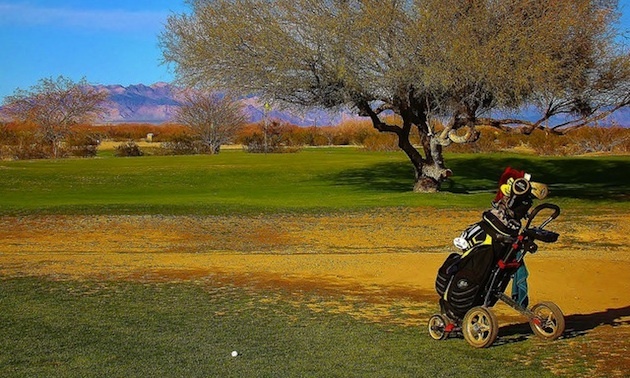 This quirky course and the nearby Centennial RV Park make a refreshing stop for the RV golfer. 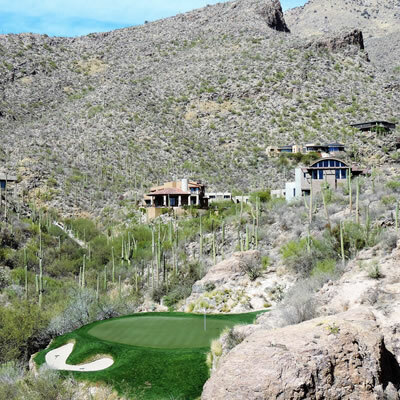 There is a little village midway between Parker and Wickenburg, Arizona, that has a unique history and golf course. 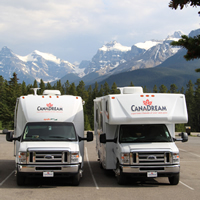 Salome is a blink-and-you-will-miss-it type of town, but there are six RV parks there that can accommodate snowbirds who want to spend a quiet winter. The surrounding McMullen Valley is famous for hiking, mountain biking, rock hunting, ATV off-roading and geocaching. The mountains are full of old mines, caves and even a former prison. 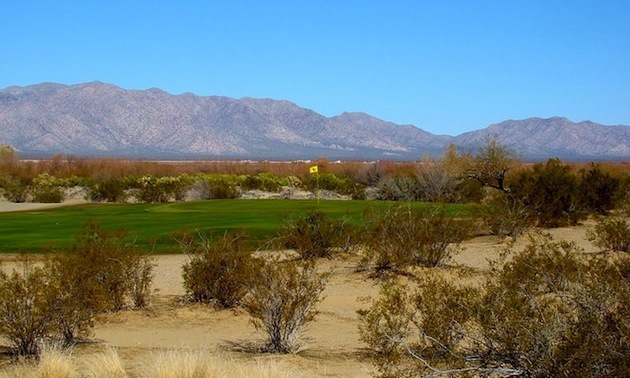 Desert Palms is the largest RV park in the valley and has a pitch-and-putt par-3 golf course, but Greasewood Golf Lynx in Centennial Park is the only regulation golf course. The par 32 course is nine holes at 1,732 yards and can be described as an executive links style. The fairways consist of some desert vegetation with a sandy and rocky desert floor and some grass on the tee boxes and around the greens. The greens are Bermuda grass, small, relatively flat, with subtle breaks. The longest hole is No. 8, a par 4 of 275 yards, with the shortest hole being a par 3 at 100 yards. In the desert, there is no need for sand traps or water hazards. Course manager David Prefling is realistic when it comes to Greasewood. With that philosophy in mind, the course offers skins competition on Mondays and Wednesdays, followed by a best-ball scramble on Thursdays. On Wednesday mornings Prefling offers free lessons on basic golf fundamentals. To make golfing more affordable, there is a 12-round punch card. 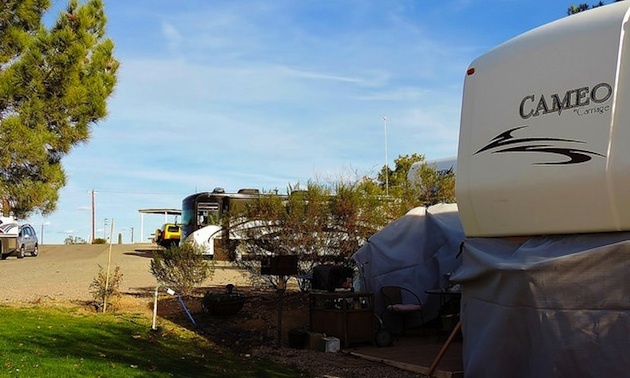 Centennial RV Park is named for the Centennial Wash that runs through the park. The park is located off Highway 60 on the Centennial Park Road, about five miles east of town. This is a community park operated by La Paz County. The park is multi-functional, featuring baseball fields, a basketball court, a playground for children, tennis courts, restrooms and, of course, the golf course and driving range. The RV park has 24 sites, with half the sites featuring water and electricity and the other half reserved for dry camping. A camp host is always on duty. The public library across the road has Internet access available. This park may lack for some of the extra amenities, but it is very functional and has a friendly staff who take pride in their park. When we’re passing through Salome, my wife and I always drop in for a round of golf and a night in the desert—a refreshing change from the mega parks of surrounding cities.